The Visual Form listener helps you quickly and easily configure Form Listening on your site. Form Listening allows you to set a value for a property in a visitor's profile based on visitor input. You can use the interaction to both set the value of an existing profile property to a particular value as well as add a value to a profile property that supports multiple values. The input from the visitor is derived from a form submitted on a web page. 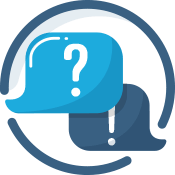 The blue checkbox will allow you to include or exclude form fields from the listener. The number in the orange box corresponds to the similarly numbered form field to help identify which field you're working with. The search box allows you to specify which profile property will be holding the data for the corresponding form field. You may choose an existing profile property or create a new one. The gear to the right of the search bar will allow you to select the storage rules for the data. Once everything is configured, just press the blue [Save] button, close the visual form picker, and your listener will be ready to turn on and run.